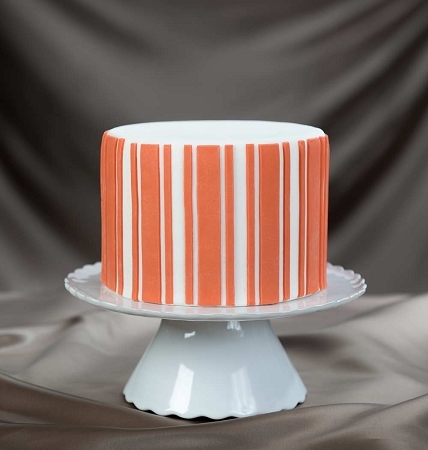 Gala Stripes Onlay, by Chef Dominic Palazzolo of Marvelous Molds, measures 6 1/4” x 4”. 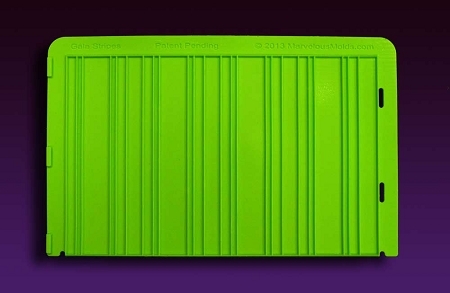 This FDA approved silicone Onlay will transfer its precise raised design onto most surfaces, perfectly every time. Onlays are great for sugar art related mediums, such as fondant, modeling chocolate and gumpaste. All pattern Onlays fit perfectly around even numbered circular cake layers.